At this point, you should have an idea about the story you’re trying to write. If not, that’s okay, the next lesson will be on inspiration and world building – which is a good place to start with coming up with these ideas. However, since we talked about loglines, I’d like to transition briefly into writing a synopsis. They usually go hand-in-hand with writing loglines. Afterward, I’ll also talk a little about pitching. The synopsis should be a brief paragraph summarizing your series. It should highlight everything your logline wasn’t able to convey. Obviously, that covers a lot of material, so I’ll go over the basics of what you should focus on. Now, there are many ways to approach writing a synopsis. You can have an outline that you can highlight the bullet points of and summarize that way, or you can have a fully written treatment that you breakdown and pitch: selling the premise of your story. In almost every method, you know what big points you want to sell about your series. Which is why I had you focus on loglines. A lot of the times you can write the synopsis based off them. In episode 3, I wrote a logline with a brief synopsis below it. Here it is again. “In a not so distant future, science has finally bridged the gap between mind and machine, creating specialized devices able to connect human minds through the internet. Immediately, it became adapted for use in corporate America: the ability to micromanage and network with individual workers, streamlining a new industrial complex. Now is this the strongest synopsis? No. I probably could’ve found a way to get to the point faster. Here’s the thing: there are so many ways to write something more concisely in screenplays. In fact, you’ll soon learn that the art of script writing… is usually just shortening things and editing down to the point where your readers/producers/production team can run through it in a fast read through. Unlike other forms of writing, screenplays serve as directions for teams of many people. How a screenplay reads to a producer, will be different to a director, actor, showrunner, lighting crew, and set designer. All of which serve different roles. So being concise and to the point is key – but even then, methods differ by genre approaches. Writing a comedy is very different than writing a drama. I’ll get more into this in the future. As for writing the synopsis of my logline, I wanted to touch on all the selling points of my screenplay. I do it, but to be honest, it’s still not the most direct. I could’ve done better. For one, it’s a somewhat misleading title as Ghost in the Machine could very well be a story about a literal ghost living within a computer from the way I pitched it (Spoilers: It’s not. This confuses the genre being pitched. This is bad). Secondly, I’m not really leaving much for the location scouts to work with. Usually a good script will take something like this into consideration – especially because elaborate locations = money spent. Finally, I can see red flags about the world building already in this synopsis alone. Like why is this device only released in America, especially if it’s a corporate environment – where almost all dealings have some degree of international holdings involved? And it’s true, I had problems with that in this story. But again, I wrote this in my early 20’s. I’ve learned a lot since then. All you really need to do is elaborate on what you choose to represent in your logline. It’s just like we did for episode 4. Hero – Your protagonist with a flaw to fix by story’s end. Catalyst– The Call to adventure that brings them on the path. Midpoint– The middle of your story, the moment that best embodies your character’s change. The scenes where we are in the thick of this world you’ve built. Theme– Lesson of your story. Death– The undoing of your midpoint. The worst-case scenario. The thing your protagonist wants to avoid most. Antagonist– The thing that hinders your hero’s journey. Again sometimes, it’s more than a person it’s an embodiment of an idea or something our hero has been avoiding. “In a not so distant future, science has finally bridged the gap between mind and machine, creating specialized devices able to connect human minds through the internet (Midpoint). Immediately, it became adapted for use in corporate America: the ability to micromanage and network with individual workers, streamlining a new industrial complex. The efficiency of America’s product development had made all forms of competition obsolete. The device, redefining industry standards, had expectations to expand release onto the global market. That is, until the death of Kensei Nakamoto (Death), Japanese business tycoon and the first user of the device in Asia. His death has led to an FBI investigation of William Maven (Catalyst), the device’s charming yet despised innovator (Hero), who now seeks to find and fix (Midpoint) the error in his experiment (Antagonist). Hero – Charming yet despised innovator: William Maven. My Protagonist. The guy who I based off Tony Stark. Notice I also say he’s despised, as he basically changed the global economy – putting a lot of people out of the job. I mention this because your hero needs to be flawed. So, I figured, a very successful yet somewhat guilty feeling narcissist plays well for this story. Catalyst – The investigation. This is what kicks off our story. It forces William back into this world (He ’s early-retired. Living lavishly off his billions) and gets us through the plot of this story. Midpoint – Find and Fix. The midpoint of this story has always been discovering what the ghost in the machine is and fixing whatever it was that caused Kensi Nakamoto to kill himself. To do so, we’re inevitably going to go deep into the intricacies of how the science works and see how far William will have to change – going from selfish narcissist to hero who needs to do the right thing to stop these deaths from happening. Theme – Again, I didn’t mention the theme in this story. The reason being… is that the script plays with viewer’s expectations. It’s a mystery story. There is a huge twist at the end where we put all the evidence gathered together and realize: None of this is real. this entire thing is just one big messed up experiment gone wrong – sort of like the Bandersnatch episode of Black Mirror. Death – Death of Kensei. Literally, the goal is to prevent people like Kensei Nakamoto from dying. However, it also serves a second function in this story. The more our hero learns about this mystery, the closer he comes to his own death. Antagonist – His Experiment: The ghost in the machine. Which, inevitably is the truth behind the mystery. 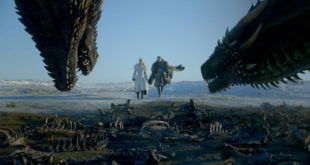 Now, these points I have in bold (Hero, Catalyst, Midpoint, Theme, Death, Antagonist) for both loglines and synopsis writing are actually very important. 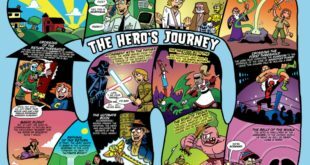 A lot of them represent different parts of the monomyth listed in the hero’s journey. They’re often used in just about every screenwriting book, though in different ways, shapes, and forms. Everyone seems to call them by their own names in a way, but you can tell what they’re trying to get across. And that’s it. That’s all it takes to write a synopsis, just build on your logline. A young programmer (hero) starts to question reality (catalyst) when he adapts (midpoint) a mad (death) writer’s fantasy novel into a video game (antagonist). Hero – Young Programmer who created the game. Catalyst – Starting to question reality, which gets us to questions and the thick of the episode. Midpoint – Adapting the game and finding more and more ways to finish the game on time. Theme – Again, notice no theme. Thrillers are difficult to add themes to as they usually involve twists and spoilers. Death – The writer who tried to do this last time went mad. It’s also what our character would like to avoid. Antagonist – Video Game itself: the tool that’s breaking our hero’s reality. 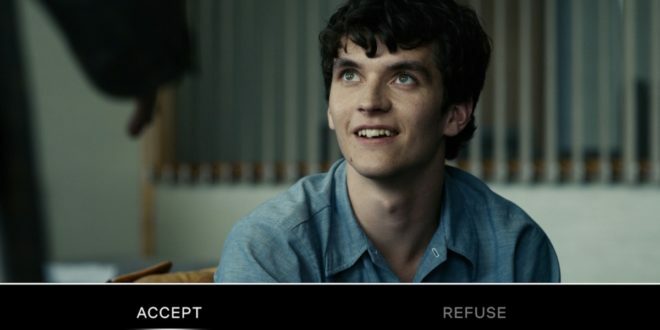 “In Bandersnatch, viewers make decisions for the main character, the young programmer Stefan Butler (Fionn Whitehead) (Hero) who is adapting a fantasy choose-your-own-adventure novel into a video game (Catalyst) in 1984. 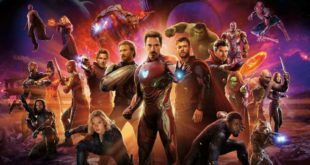 Other characters include Mohan Thakur (Asim Chaudhry) and Colin Ritman (Will Poulter), both of whom work at a video game company, Butler’s father, Peter (Craig Parkinson) and Butler’s therapist, Dr. Haynes (Alice Lowe). The film is based on a planned Imagine Software video game of the same name which went unreleased after the company filed for bankruptcy (Death). It also alludes to Lewis Carroll‘s own works that feature the bandersnatch creature (Antagonist). A piece of science fiction and horror, Bandersnatch incorporates meta-commentary and rumination on free will.” (Theme) – Taken directly from Wikipedia. Not a clean example but it gets the point across. You can cover issues in different ways and play with structure, the importance is that you highlight elements of your story. Now, is it fair to use Wikipedia as an example? No, not really. But in my defense, Wikipedia’s entire being is built upon writing synopses about virtually everything. And for all intents and purposes… this is very much Bandersnatch. Again, a synopsis is only as useful as its intention of the person reading it. Convey the information that you want to sell. If you haven’t tried Black Mirror’s Bandersnatch yet, you should. In my movie, the truth behind the mystery is that the experiment to bridge two minds directly through an electronic network was a failure. One of the subjects died. The other entered a coma – though with many of the other’s thoughts and memories. Parts of the dead person’s mind, slowly integrated into the living one. This led to a mental schism of sorts. And a dream reality where the movie takes place in. William Maven isn’t real. He is an aspect of a nightmare, slowly getting the person dreaming this world to remember the truth and wake up. Solving the mystery, leads to William’s own inevitable demise, as he was never really a person. He also seems self-aware but it’s only because we’ve been watching the dream/movie unfold the way that it has: from his point of view. The Ghost in the Machine is actually the person dreaming, leaving hints to get themselves to wake up. 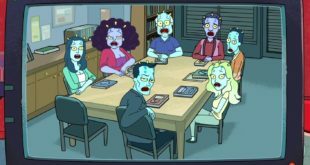 Funny thing is this idea came out before Black Mirror, but looking at it now, I think it would make for a solid Black Mirror episode. Anyway, to reiterate: to write a synopsis, elaborate a bit more of your story based off your loglines/the source of the material (If going by outline/treatment). Think about what your buyer would find most prospective and focus on that. Be wary about length. A solid synopsis usually only runs one paragraph. You also don’t want to summarize the entire movie (Like what I wrote under spoilers, you would never pitch that to get your script produced. If anything, I’d pitch that ending in round 2 – if there is one). Straight to the point for this assignment: write a synopsis based off the logline you’d written for episode 4. Pitching is a skill and not really something I’m the best at. If I was, I’d most likely be in Hollywood myself – writing coming of age dramas about kids who just want to belong somehow somewhere. However, it’s important to be aware of this while writing a script. You can write a terrible script (please don’t) but can be amazing at pitching and still get your treatment sold (I’ve seen treatments that sold that were honestly, quite terrible in my opinion). It’s a thing meets a separate but intricately related thing. This is going to be your bread and butter. It’s a method that has mixed results in the community, yet most of us screenwriters at some point and time used this to sell movies. You should know it because there’ll be an inevitable point where you’ll have to use it. It conveys genre. It tells us if the movie is an action/drama/suspense/thriller by picking moves that are those genres, or even, a genre hybrid. The plot to Annie Hall is damn near identical. And the interview format for When Harry Met Sally is also utilized. Both are stories about when a guy meets a girl and their relationship blossoms/ends – what they got out of the experience: the theme. Though for producers, a thing meets a thing this just answers how they can sell this movie. The types of ratings it will get (Ratings are a killer for getting your movie produced. Rated MA movies are very hard to sell compared to a PG-13. Full list here). We now know it’s a romantic comedy. Sure we can just say it’s a romantic comedy, but for some mystical reason, people like to be reassured with something they’re familiar with. Hence, the thing meets a thing. For ‘The Ghost In The Machine’, it’s Following meets Ghost in the Shell. For all intents and purposes, those two movies probably summarize it best. It tells you it’s a sci-fi movie. It also tells you it’s a mystery. Don’t be afraid to talk about your idea to other people. Pitching to people is basically just getting familiar with conversation – and being proud of your ideas. There’s this bad miscaption in the screenwriting community that if you talk about your series, someone is inevitably going to steal from it. Sorry to tell you this but your idea isn’t that special. The script, maybe. You, definitely. Concepts and ideas though… those are free reign. You can read about it here, and even here. And, if you really don’t believe me: Here under ‘ideas’. Truth is, there is no such thing as copyright on an idea. Everything is open for use. So, the best you can do is finish a script and then copyright that material. However, contracts do make a difference. Signing an NDA gives the person some protection – though even then, are you really going to have a studio sign an NDA before pitching your project? Remember, these are people who read thousands of scripts a year. Unless you’re that established, it’s going to be a difficult battle. You have the tools now so go for it: pitch your movie to a friend. Use your logline and newly written synopsis. Get some feedback, too. That’s all for this week. Next week we’re going in a fun direction: Where to find Inspiration. Also, I’m going to talk about worldbuilding, which is also a very fun topic.